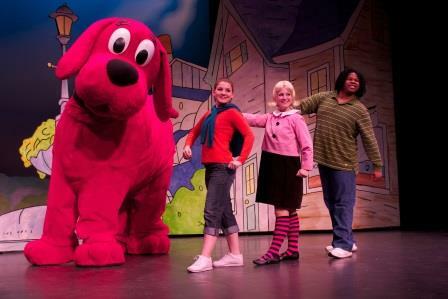 It only takes a little to BE BIG!™ The ‘big red dog,’ a character beloved for generations, comes to life on stage in a BIG way in this all new musical! Join Clifford, Emily Elizabeth and all their friends from Birdwell Island as they embark on fun-filled adventures with singing, dancing and interactive fun. Share in the timeless values of Clifford’s BIG Ideas: Share, Play Fair, Have Respect, Work Together, Be Responsible, Be Truthful, Be Kind, Believe In Yourself, Be A Good Friend and Help Others – with this musical experience the whole family will love!